Way back on Day Forty-Two, I was already thinking about this day. I was already planning what I would eat on January 1, 2013. Weird to think that now… I am… here. On January 1, 2013. From Day Forty-Two: Skinny Tuesday Fat Tuesday is pretty much all about getting to over indulge simply because lenting requires sacrifice. It’s almost as if we fatten up on this day because we feel like we deserve it since we will have to self-sacrifice the rest of the time. And that is kind of the mentality that I’m afraid of having. And so this morning I woke up, totally cool with the idea of giving God my “first fruits”, so to say and not eating “off” of the covenant even though I was technically “allowed” to do so. And I was feeling a little, admittedly, self-righteous about doing so. Like, I honestly had a few “I’m soooo good to do this” kind of moments. Well, that certainly was a bit of a buzz kill for my self-rightousness (but it was REALLY nice of him to do… my kids were ECSTATIC)!!! And after I got over my little pity-party, I thought to myself… Why am I surprised that it happened this way? It had to happen this way. It wouldn’t have meant a thing if I gave up eating “whatever” I wanted all day if there was no temptation. No true sacrifice. It was actually an opportunity for me to really show God my thanks for this past year. 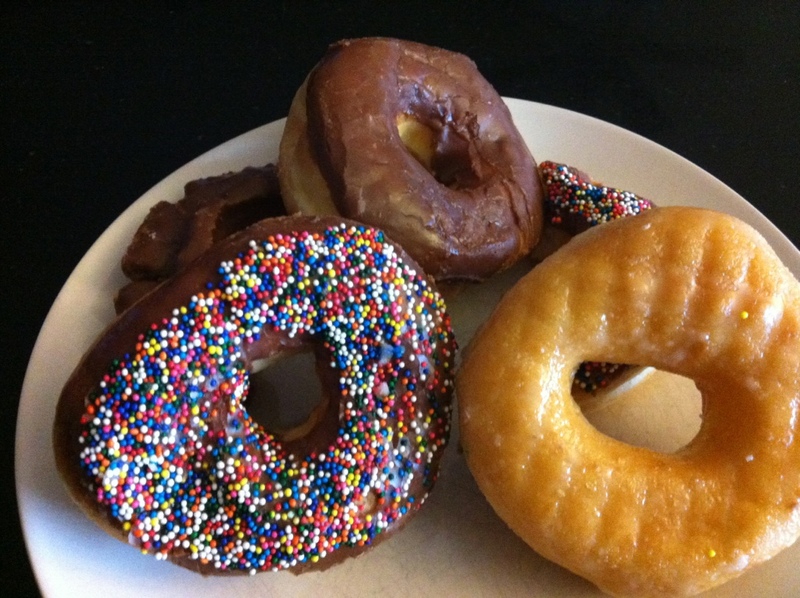 So, today, God I give you… not so much my first fruits but my first donuts. Thank you Lord for providing me with power, forgiveness, compassion, more forgiveness, guidance, wisdom, and self-discipline. Thank you for freedom that You have given me through Jesus. Thank you, quite simply, for my life. Both the physical life that I have as I breathe and walk and live, as well as for the spiritual life that I experience every day. This earth may not be perfect anymore, but with You as my God… I truly feel as if The Kingdom of Heaven IS here.